This keyguard snaps on theBigKeys LX keyboard. 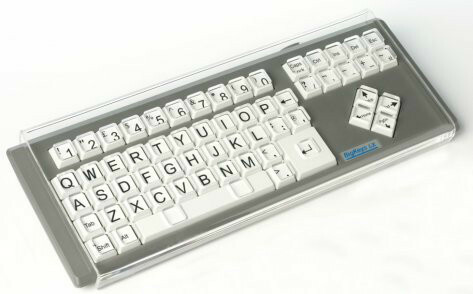 It is a methacrylate stencil that covers all the keyboard surface, exposing the individual keys. See also the metal keyguard.